Go to the vendor’s website that sells the high RF frequency generator and oscillator amplifier which can broadcast Rife’s high RF frequencies using a plasma ray tube antenna. You’ll be able to see photographs of the generator and amplifiers including full specifications and pricing at their website. Dr. Royal Raymond Rife ​discovered one of the most groundbreaking medical tools in the last hundred years. He invented the world’s best-ever optical microscope and subsequently discovered that the microbes in cancer cells could be totally devitalized by radio frequencies which left patients unharmed. Due to financial and political interests, his discoveries were driven underground. ​Today, researchers at MistyBlue and the Independent Cancer Research Foundation, Inc. (ICRF) are basing their research on true science instead of politics. People who are suffering from cancer and other diseases may participate in their own discovery with in-home research into the effects high radio frequencies. MistyBlue will introduce this simple, yet life-changing technology on this web page for those who desire to implement a complete step-by-step protocol for their particular situation. Independent Cancer Research Foundation, Inc. There are two methods which utilize two different configurations of “high RF frequency generators” which are recommended by the Cancer Tutor website. First is the plasma method high RF generator instrument system which consists of three main components: 1) a high RF 20 MHz sweep/function generator, 2) an RF oscillator amplifier which broadcasts multiple frequencies and sidebands via 3) a plasma ray tube antenna. It emits a continuous frequency or wave in the air, much like a small radio tower. Second is the contact method which creates RF electrical currents by the use of a 1) high RF 20 MHz sweep/function generator and a 2)15-watt amplifier in which electrodes are plugged in and come in contact with the body. Microbiologist, Dr. Royal R. Rife used the standard high frequency generating equipment of his day. These two high RF frequency generator systems output the frequencies using the same method used in the original “Rife Machines” of the 1930s, which were designed by Rife. The difference today is that these devices use modern, high-tech circuits. Both devices are so gentle that the person using one of them barely knows the device is turned on! Warning: Almost all of the frequency generators on the market today which are called “Rife Machines” output only low audio frequencies. They cannot output the high RF frequencies which Dr. Rife used. Dr. Rife was a microbiologist who knew that cancer was caused by very unique viral microbes which were inside of cancer cells. He called them BX and BY cancer viruses. It is also now known that the Helicobacter Pylori (yes, the same H. Pylori which lives in the stomach) can be another cancer-causing microaerophilic bacterium. Researchers now know that the original Rife Machines had two frequencies. One frequency was to kill the virus and the other frequency was a carrier frequency to “carry” the first frequency through the cell membrane to the inside of the cancer cells, where the cancer-causing microbes were located. See the “What Causes Cancer” article, on the left side-bar, for more information about how microbes cause cells to be cancerous. When Dr. Rife was able to kill the virus and/or bacteria which were inside of a cancer cell, the cancer cell was able to restore its metabolism and become a normal cell (i.e. “revert” into a normal cell). Let me say that again a different way:It is possible to kill the microbes which are inside of the cancer cells, which allows the cancer cells to restore their metabolism and thus revert into normal cells. This is the ideal way to attack cancer because there are no dead cancer cells to create debris and there are no dead healthy cells which are killed in the attempt to kill the cancer cells! This method can be used more quickly than tactics that build the immune system or kill cancer cells! All of these methods are exactly the way that Dr. Rife’s high RF frequency devices worked. Using low audio frequencies without the correct high frequency carrier frequency that will produce the correct high frequency will not work. Like Rife’s devices the correct “carrier” frequency matched to the audio frequency should be used in order to try and revert cancer cells into normal cells. In other words, a high frequency generator can be used in the same way Rife used his instruments for cancer treatments! They are also used to kill microbes in the bloodstream, which helps supercharge the immune system (as was shown by Dr. Bob Beck, PhD). Thus, these devices treat cancer in two different ways! While there are many so called “Rife Machines” for sale on the Internet, none of them even remotely comes close to meeting the actual specifications of the original “Rife Machines” of the 1930’s. This is because they us only low audio frequencies, without the correct “carrier frequency”, which produced Rife’s high RF frequencies. For this reason we will give you a web address of a frequency generator that can output Dr. Rife’s high RF frequencies. The plasma type high frequency generator is a more powerful device and is at the core of two of the most potent of the “Original Rife Protocols”. The high frequency plasma method is part of the core of the Cellect-Budwig protocol and the Plasma-Beck protocol. These are highly effective alternative cancer treatments. The Cellect-Budwig was designed to quickly stop the spread of cancer, energize (i.e. protect) the non-cancerous cells and provide many nutrients to the cells. In other words, it was designed specifically for very advanced cancer patients. It is strong enough for fast-spreading cancers and for any type of cancer. The Plasma-Beck is focused on getting rid of microbes in the bloodstream, lymph system and inside the cancer cells. Doing these things allow cancer cells to revert into normal cells and supercharge the immune system. The Plasma-Beck was designed primarily for melanoma, squamous cell carcinoma, sarcomas and uterine cancer because these types of cancer spread via microbes in the bloodstream in addition to cell division. Very advanced cancer patients, who have one of these four kinds of cancer, should start with the Cellect-Budwig along with the high RF frequency generator with plasma tube. See the link on the left side bar: “Prevent Cancer From Returning” for more detailed information. The frequency generator and amplifier utilizing the contact method is the “little brother” of the plasma tube generator, and is the primary treatment in the Rife-Beck protocol. It is also a “Complete Protocol.” The frequency generator contact electrode method can be used as both a Rife device and a Bob Beck device in this protocol. While many people have effectively used the contact electrode method as their sole cancer treatment, I always recommend a nutritional protocol be combined with any frequency generator protocol. Because these devices do not create electroporation, either frequency generator can be used with any nutritional protocol, including Cellect-Budwig, Cesium Chloride, Dirt Cheap Protocol, etc. etc. Since I began my cancer research, in 2002, I have learned a cancer patient should use multiple effective treatments when treating their cancer and that if they use frequency generating devices they should also include nutritional protocols. ICRF Frequency Generator Research Protocols. The High RF Frequency Research Protocols for Cancer utilized by the Independent Cancer Research Foundation, Inc. (ICRF) were designed by the collective efforts of many private frequency researchers over the past decade. ICRF board members have interviewed a number of these researchers, compiled an extensive information database, reviewed numerous electro-magnetic publications and developed an experimental protocol to investigate the effects of frequencies with cancer patients and others. The protocols were designed primarily for private in-home use. Each protocol is safe when used according to instructions. Very gentle frequency protocols have been around since 1905. In the 1930’s the most famous of these protocols was designed by Dr. Royal Rife which utilized his famous Rife Machine frequency generator. Today there are probably more than 100 different versions of frequency generators and other frequency healing, ultraviolet light and infrared light devices. 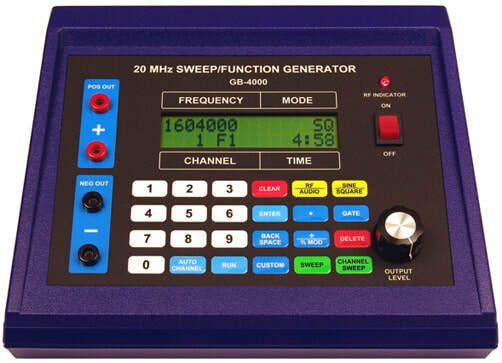 While there are many different brands of “frequency generators” (which some refer to as “Rife Machines”), I am only aware of one brand of frequency generator that actually uses a powerful “carrier frequency” matched to the audio frequencies in the way that Dr. Rife used it. Recapping from above, frequency generators come in two different versions or system configurations. First, there’s the frequency generator with a 15-watt linear amplifier which can be used with the contact or electrode method of delivering the frequencies. Basically, the generator creates the specific resonant frequencies (including the 3.1 MHz carrier frequency) and the amplifier amplifies these frequencies up to 15 watts of power output. The other more powerful device is the frequency generator with a 207-watt (peak) amplifier which uses a plasma gas ray tube for broadcasting the specific frequencies (including sidebands) which is called a plasma tube amplifier. This is by far the more powerful of the two methods, and it is also the most costly (about $4,600 for the system). Copy and paste the above website address into your web browser and go to the vendor’s website that sells the high RF frequency generator and oscillator amplifier which can broadcast Rife’s high RF frequencies using a plasma ray tube antenna. You’ll be able to see photographs of the generator and amplifiers including full specifications and pricing at their website. The frequency generator and plasma amplifier (together) are a complete protocol for cancer. This article will not go into details, but it would be wise to supplement this protocol with a nutritional program such as the Cellect-Budwig protocol, Fucoidan, live whole food based juice concentrates (not freeze-dried or pasteurized), Aloe Arborescens, etc. In cancer research done since 2002, the most potent protocol I have ever seen for advanced cancer patients, which can be used at home, is the frequency generator with plasma tube combined with the Cellect-Budwig protocol and Fucoidan (See: “Understanding Treating Cancer” link on the left side-bar). Literally walks you through using the frequency generator with amplifier for either the contact electrode method or the non-contact broadcast plasma tube version! Thus, to use this as a protocol for cancer, follow the directions in the “step-by-step” protocol and add your favorite nutritional protocol for cancer. You will learn about the achievements of a remarkable San Diego, California scientist who, back in the 1930s, invented a very powerful optical microscope in order to be able to see living bacteria, viruses and fungi (pathogens) that he suspected to be causing a range of illnesses. He found that he could see the individual pathogens better by illuminating them with a light frequency that matched their own resonant frequency causing them to glow. When he intensified the frequencies, he observed the pathogens either bursting or going inanimate. This invention led to the development of a remarkable way of selectively destroying these bacteria and viruses by subjecting them to their own resonant frequency in a similar way to how a crystal glass is shattered when a singer hits the right musical note. What happened to this great discovery? According to Barry Lynes in his book: The Cancer Cure That Worked, it was suppressed by the FDA and by specific individuals at the AMA in the United States at the time. The primary protocol at the center of the ICRF research is suggested for use in experimenting with specific resonant frequencies to attempt to reduce pain and common symptoms associated with the many forms of cancer by improving the body’s immune response and promoting full healthy cellular replication. The ICRF makes no medical claims of a cure of any disease in this research protocol, but does consider it to be a major contributing component to the treatment of several diseases, including cancer. Microorganisms (pathogens and microbes), including viruses, bacteria and fungi each have a specific vibration or signature to which they can be exposed, resulting in their ultimate death or deactivation. The protocol utilizes a uniquely designed, wide-range 20 MHz frequency generator to deliver these specific resonant frequencies (the mortal oscillatory rate or MOR) to the body (human or animal). When an unwanted microorganism is exposed to its MOR, it oscillates to the point of being damaged or killed. Again, the best image to describe this resonating effect is that it is similar to how an opera singer (or a talented vocalist) can shatter a wine glass with the right pitched note carried by audio waves. It is understood that the microbes inside the cancer cells cause a cancer cell to remain cancerous. By killing the microbes inside the cancer cells; the cancer cells will revert into normal cells (as verified by numerous cancer researchers over the past 70 years). This success can be attributed to the carrier frequency and is why the original Rife Machine had a carrier frequency. The carrier frequency matched to the correct audio frequency “carries” the high RF frequency signal, which is designed to kill and devitalize the microbes, through the cell membrane and inside the cancer cells. As just mentioned, if all of the microbes inside of a cancer cell are killed, the cancer cell will revert into a normal cell. This is the safest way to rid the body of cancer cells because there is no debris from dead cancer cells. Also see the article on this website: “What Causes Cancer,” which is linked to on the left side-bar of this web page. the effects of the disease could be reversed. In the decade following the 1934 clinical success, the technology and the subsequent successful treatment of cancer patients was discussed at medical conferences, disseminated in a medical journal, cautiously but professionally reported in a major newspaper, and technically explained in an annual report published by the Smithsonian Institution. The ICRF’s High RF Frequency Research Protocol implements the use of a specially designed frequency generator to produce specific resonant frequencies which are applied to the body via a broadcast method using a plasma ray tube (antenna) or by using a contact method using four electrodes which come in contact with the body. Again, be advised that there are many frequency/function generators available in the marketplace, (usually advertised on the internet) but very few have the precise technical design features, a carrier frequency and power specifications to be considered for the quality research the ICRF desires to carry out. It is important to choose a function generator instrument that will meet all of your specific needs as a research tool. First, the 207-watt oscillator amplifier uses the plasma tube broadcast method which uses a non-contact sideband delivery. The broadcast method also allows for a greater power output of 207 watts (peak) compared to the linear amplifier’s 15-watt contact method. Second, the oscillator amplifier, for the first time since the 1930s, allows for the use of high frequencies (in the millions of hertz) directly output through the non-contact plasma gas tube method. If you want to use the more powerful, versatile 1930’s/1950’s non-contact method, then the 118-watt oscillator amplifier is the instrument you’ll want to use with the 20 MHz frequency generator. Third, for certain kinds of cancer (such as bone cancer, bone marrow cancer or brain cancer), because electrical currents always follow the “path of least resistance,” it is better to use a plasma broadcast type of amplifier rather than an “electrical current” type electrode or contact method. This is because the electrical currents will follow the denser bone structure rather than the bone marrow, as an example. If you can afford the 20 MHz frequency generator and 207-watt (peak) plasma amplifier system, in the opinion of the ICRF and Cancer Tutor, then you’ll have the very best system on the market today which has both contact and non-contact capabilities. You’ll also have the only system that can output the 1930’s/1950’s frequencies. Network researchers affiliated with the Independent Cancer Research Foundation’s ongoing study into the investigation of the effects of frequencies have determined that a frequency generator with electrode contact or plasma oscillator system can be effectively used with bio-resonance frequency research protocols. 1. Wide Frequency Range:The instrument must be able to broadcast RF (radio frequency) frequencies in the range of 0.1 to 20,000,000 Hz. (20 MHz.). A function generator used for research should be able to produce frequencies in the millions of hertz and not just harmonics (lower frequencies) of the actual frequencies. 2. RF Carrier Frequency:The instrument must have a built-in carrier frequency. This key feature allows one to modulate or piggyback chosen frequencies on a 3.1 MHz carrier frequency. The RF carrier is what gives maximum tissue penetration and also generates the rich harmonics that researchers feel are important. Scientific studies on bio-electrical impedance show that it takes 1 MHz to penetrate a cell in the body. This means that the resistance in the cell will not allow any frequency lower than 1 MHz to pass through it. The studies also show that frequencies that are lower than 1 MHz only pass through the connective tissue around the cells in the body. Research shows that the microbe which is involved in cancer, which is technically a highly pleomorphic cell wall deficient virus or bacteria, can become small enough to enter the cells in the body and make these cells cancerous. Therefore, we feel a very critical need for an RF carrier frequency that will get its output frequencies inside the cells of the body where they are needed the most. 3. Multiple Frequencies:The instrument needs to be able to generate and run at least 8 frequencies simultaneously. This is important from a person’s time and compliance perspective (by keeping one motivated to continue a daily protocol). The device should be able to deliver as many frequencies in the protocols as possible in the shortest amount of time. Receiving only one single frequency at a time, in succession, for long sessions can be difficult for some people to endure. Compliance is greatly improved if thoughtful regard for one’s time spent doing a protocol is considered. 4. Frequency Sweeps: The instrument needs to be capable of doing three kinds of sweep functions, a general sweep, convergence sweep and a channel sweep. 4.1) SWEEP: This would allow you to run any specified frequency range, one frequency at a time. The instrument sweeps from your beginning frequency to your ending frequency. 4.2) CONVERGENCE SWEEP: This feature allows you to run two frequencies at a time over a specified frequency range of your choosing. The instrument sweeps from your beginning frequency to the ending frequency and at the same time sweeps from the ending frequency to the beginning frequency. The result is that the two frequencies sweep towards each other, then pass each other, with one going up and the other going down and each ending where the other frequency began. 4.3) CHANNEL SWEEP: This feature allows you to sweep all the frequencies within a channel through a specific sweep range chosen by the user. 5. Adjustable Duty Cycle: The instrument’s duty cycle must be adjustable from 10% to 90%. Many frequency researchers have reported that they achieved better results using a 90% duty cycle on the low audio frequencies. A 90% duty cycle has 80% more resonance than a 50% duty cycle and controls the square wave waveform only. 6. Advanced Gating (pulse) Function: The instrument needs to have the ability to gate any frequency. Gating is basically an advanced pulsing feature. Researchers who have witnessed the desired results in the past have used some form of gating to produce the high potential spikes in the frequencies. A square wave frequency works a lot like gating. Gating is the turning on and off of a frequency. A 50% duty cycle square wave is on for 50% of the time and off for 50% of the time. When using low square wave audio frequencies the gating feature is not that important, but some researchers believe it is helpful (even when using low audio frequencies). The instrument should allow one to turn the gating on or off and to adjust the gating frequency (5 Hz. to 2200 Hz. is an acceptable range) and duty cycle (10% to 90%) of the gate. When using a sine wave frequency there is no pulsing effect. If you use the gate feature you can pulse a sine wave frequency at a chosen pulse rate you desire. 7. Sine Wave/Square Wave Output: The function generator must have the versatility of outputting multiple waveforms, especially square wave and sine wave. 8. RF and Audio Modes: The frequency instrument should have dual frequency output modes. 1) RF, (radio frequency) which is the higher frequency mode which can use a carrier frequency for greater tissue penetration and 2) Audio, which is the lower frequency mode. Note: Nearly all other pad or contact instruments only have an Audio mode output. 9. Digital to Analog: The instrument must be able to produce digital frequencies and then convert them to analog for output. Digitally converted frequencies allow you to sweep with far more accuracy. Accuracy to a thousandth or millionth of a hertz (frequency) is possible, even though this kind of resolution is not typically needed. This precise accuracy level of digital instruments is something that a purely analog instrument cannot achieve. Digital equipment can accurately produce extremely minute details. 10. Impedance Matching: The instrument of choice would utilize impedance matching. Impedance matching makes it so more energy can penetrate. Think of impedance as resistance. When the resistance is removed then more energy can flow in the direction you want it to go. 11. Power Level: The system instrumentation must have a variable output of at least 15 watts of power (built-in or with a separate linear amplifier). If using a plasma gas tube amplifier/antenna a variable 2.1 MHz to 3.6 MHz carrier frequency oscillation with 207-watts of power would be desirable. With the use of an RF carrier, the function generator should output at least 2 watts of power. Many researchers want the maximum power available. When using the Audio Mode the average person cannot handle much more than one fifth of one watt before the muscles in the arms begin to contract to the point of discomfort. For this reason most people would prefer using the RF mode. (The output power in RF mode is 80 volts into a 450 ohm load. In audio mode it is 38 volts peak to peak). 12. Display: The instrument must have a built-in display monitor that shows the actual frequencies (not proprietary coded numbers) and other data being generated. 13. Programmable from a PC: Although most researchers won’t need to enter large customized programs into their instruments, there are still a few who would want the capability of being able to add custom auto channels from their Windows PC computer via a USB port. 14. Custom Memory Channels: The instrument should have at least 2,000 customizable memory channels. 15. High Quality Construction: Instrumentation, circuitry and all components must be made of the highest quality materials. 16. Price/Value: The ideal instrument system must be moderately priced and affordable so that more researchers can afford to participate especially when funds are limited. In my cancer research since 2002, the most potent protocol I have ever seen for advanced cancer patients, which can be used at home, is the frequency generator with plasma tube combined with the Cellect-Budwig protocol and Fucoidan (See: “Understanding Treating Cancer” link on the left side-bar). While in every cancer situation frequency generators can be an effective component of the treatment, there are special situations where it is exceptionally critical! 1) The patient cannot digest foods effectively (usually due to stomach or colon surgery), thus nutritional protocols may not be effective enough. 2) The patient cannot extract nutrients from foods, which happens when the lining of the stomach is damaged by chemotherapy. 3) The patient has a very fast growing cancer which means they need every advantage possible to stop the spreading. 4) The cancer has spread throughout the body in which case they need a strong multi-pronged attack. 5) There is cancer in their bones or bone marrow and nutritional protocols may not be able to reach the cancer cells. 6) The cancer patient would be put at risk if inflammation and swelling were experienced due to the treatment. Because frequency generators, which have a carrier frequency, work better to kill microbes inside of cancer cells (which allows the cancer cells to revert into normal cells), there is no inflammation caused by dying cancer cells. 7) Their type of cancer involves massive infections (though the type of microbe must be identified). Copy and paste the above website address into your web browser. Note: Rife’s frequencies can deal with almost every type of infection, however, when dealing with an infection a different set of frequencies is generally needed for each type of infection. The Universal Sideband & Frequency List (224 page manual) that may be ordered from a separate vendor (not the frequency generator manufacturer) has the frequency settings for many types of infections. The only information that is needed to find the right set of frequencies is the name of the microbe. The email support (address below) can help you in this area. Can a frequency generator be effectively used with ionized water or alkaline water? At the cellular level, the Cellect-Budwig and Cesium Chloride protocols are considered alkaline protocols (so is Baking Soda). Thus, ionized water is not necessary if the Cellect-Budwig or Cesium Chloride and frequency generator are used together, though some ionized water would not harm the protocol. However, do not be fanatical about using ionized water with the Cellect-Budwig or Cesium Chloride. Be reasonable. When combining a frequency generator with any other protocol, ionized water or alkaline water is definitely recommended but purified water will do as well and is what most researchers use. While an ionizer is recommended, for those who cannot afford an ionizer there are several supplements which are very alkaline or a person can use an alkaline cancer diet to take the place of an ionizer. Again, be reasonable. Note #1 – Optional Placement of Electrodes (Contact method only)For cancer patients who cannot sit in a chair for two hours, it is possible to place the two flat (foot) electrode pads to the flat areas of the upper legs (thighs) or lower abdomen while the patient is lying in bed, instead of having to connect the electrodes directly to the feet. There are many books on the Internet which provide general lists of Rife frequencies (use Google to search for: “Rife Frequencies”) or frequencies for specific health conditions (i.e. for specific microbes). Vendors will direct you to where to purchase a book containing these frequencies. 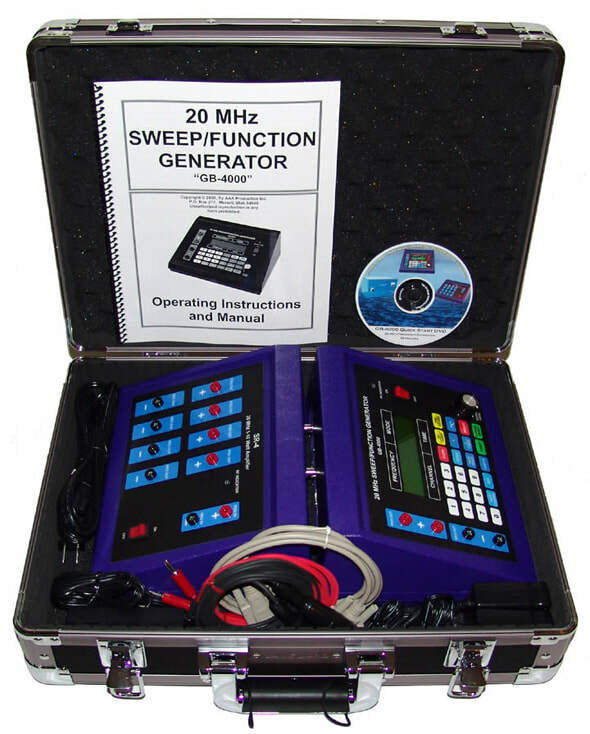 For those who purchase the frequency generator system, a book listing thousands of frequencies contained in easy to enter program sets may be ordered from another company. Disclaimer: We take full responsibility for anything written about the frequency generators on this website and it is the sole opinion of JA Health Advocate. We also want it to be known that the manufacturers of frequency generators have not written or endorsed any of the information on this site about cancer or any other modality including any protocols that have been written for use with a 20 Megahertz Sweep Function Generator, Amplifier or plasma tube Amplifier. JA Health Advocate also wants it to be known that the manufacturers of frequency generators sell electronic test equipment and do not make any medical claims for their equipment. We also want it to be known that we have not been granted license, permission or authority by the manufacturer’s of any frequency generator to make any medical claims for those companies.